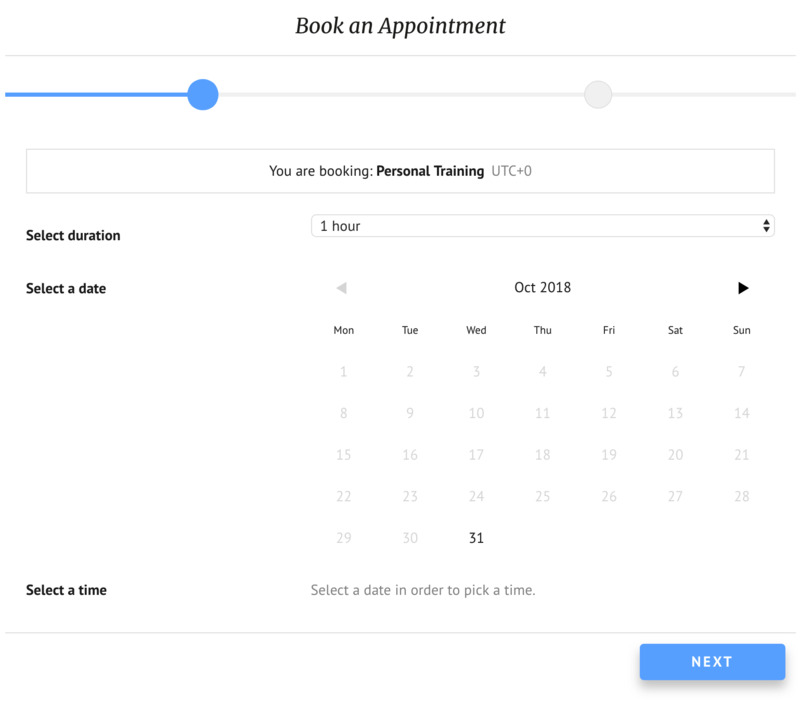 Here's a walkthrough on how to set up a new service in EDD Bookings (as of v0.2 onwards). Under the Bookings menu item you will see a page called Services. This page will list down all your services. The green toggle switch determines whether the service is enabled or not. If not, it will not be displayed to your clients in the booking form. We will see where the rest, such as the colour, name and sessions, are set from further down on this page. Next, click on the Add New button on top to open the modal for a new service. The Add New Service modal will first show the Information tab. From here you can enter the service's name, image and description. You can also assign a color which will later be used in the Bookings Calendar view to distinguish between services. NOTE: At the moment, adding multiple, short session lengths can create a strain on your server. Switch to the Availability tab to set up the dates and times when this service will be available for booking. Click here to learn more about how to set up availabilities in detail. This section includes two options. One is the option that enables you to allow the client to change the timezone the bookable time-slots are shown in. This is very handy when the service is being provided in another country or online. The other is to actually change the timezone of this specific service. This is helpful when you are providing services online or for clients who are visiting your country some time in the future (for example, booking a deep-sea dive in January for June). Once your service is ready, hit the Create Draft or Publish Service buttons at the bottom. Drafts will not be visible to clients. Published services will be visible in your booking form right away. Remember, as we saw in step 1, you may publish (enable) a service from the Services list view using the toggle switch. Now it's all about making this service available to your clients. To do this, you need to add the below shortcode to any page, post or widget on your website that can display shortcode outputs. Once this shortcode is added, the below wizard (form) will appear for your clients to book an appointment. ...where "id" is the service ID. 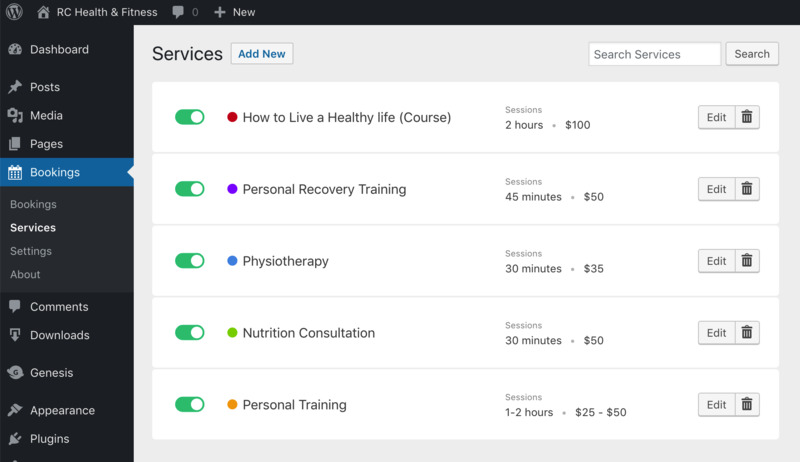 Adding an ID allows you to pre-select only one service to be displayed in the wizard. To find the ID, click to Edit a service and it will appear at the top of the service modal. ...and here's what it looks like with a service parameter.